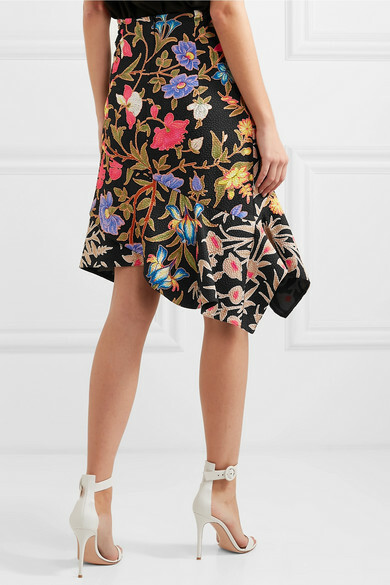 Peter Pilotto and Christopher de Vos recently became enamoured by the work of French artist Émile Gallé, who was known for his glasswork and ceramics during the Art Nouveau movement - the duo beautifully translated his naturalistic designs in their Resort '19 collection. 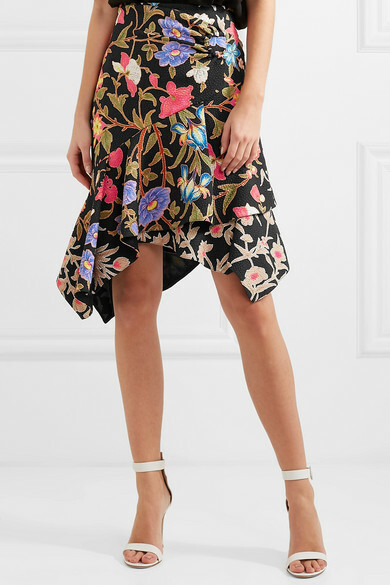 Patterned with vibrant blooms, this skirt is made from tactile cloqué and cut elegantly in an asymmetric silhouette. 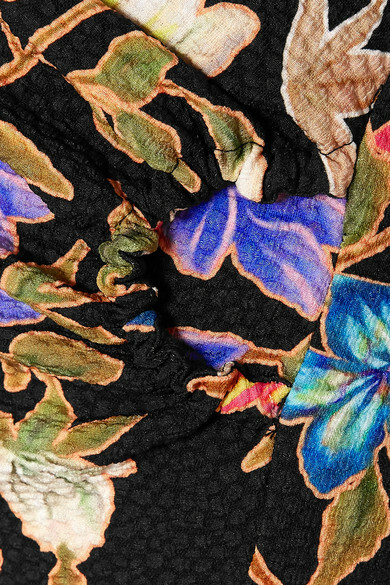 Wear it with a neutral shirt, or the matching blouse. Shown here with: Gu_de Bag, Gianvito Rossi Sandals, Dinosaur Designs Earrings.